About Us – Ostrander Family Association, Inc. The Ostrander Family Association (OFA), founded in 1984, has continuously worked with our members in the effort to support research and historical documentation related to the Ostrander surname. 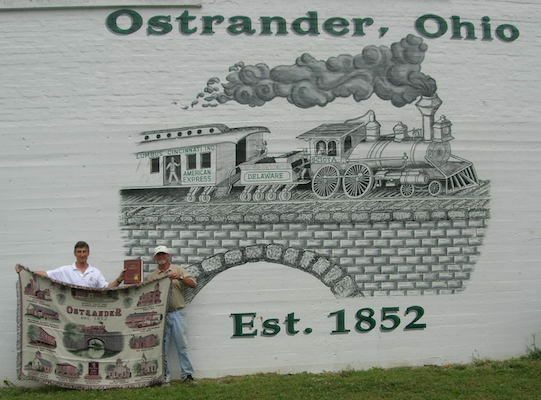 For many years, the Ostrander “Big Book” has provided members with the most comprehensive repository of Ostrander genealogical data. We strive to continue this legacy as we move to embrace the next generation of genealogical research, with online searches and genetic results and comparisons. Our progenitor, Pieter Pietersen and his sister Tryntje Pieters arrived in New Netherland in August 1661 as children. At the time, the Dutch used the patronymic naming system for surnames: a son was generally given his father’s first name with the sen suffix while a daughter used the father’s first name appended with s or se. Since their father was Pieter Carstensen (a.k.a. Pieter Carstensen Van Nordstrand), his children (Pieter and Tryntje) were reported as Pieter Pietersen and Tryntje Pieters(e). Church records show in August 1699, Pieter Pietersen reported himself as Pieter Pietersse Noordsrand (Nordstrand). His father, Pieter Carstensen, was born on the Island of Nordstrand between 1600 and 1604. In 1700, he reverted to Pieter Pietersen although two of his sons were reported as Van Noortstrande in 1710. As the use of Nordstrand and its variations faded, Pieter Pietersen and some of his children were recorded with various other surname spellings, including Oostrande[r], Van Oostrande[r] Van Ostrande[r] and Ostrande[r], among others. 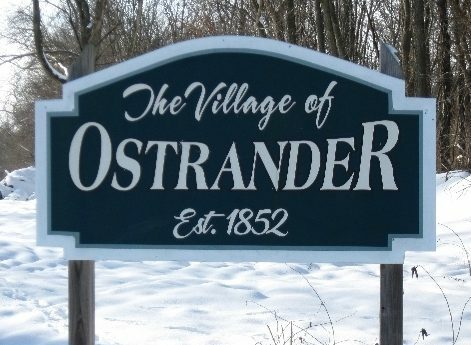 The surname may have simply evolved into OSTRANDER after it went through decades of change. Other modern-day variations include Hostrander and O’Strander. The early OFA researchers interpreted Oostrand could mean from the east bank; oost for east, rand or strand for bank, side, or shore. It is known that when Pieter Pietersen lived in Hurley, his house was situated to the east of Esopus Creek; it is a guess that he may have adopted the surname Oostrand based on the general location of his home on the east side of Esopus Creek. 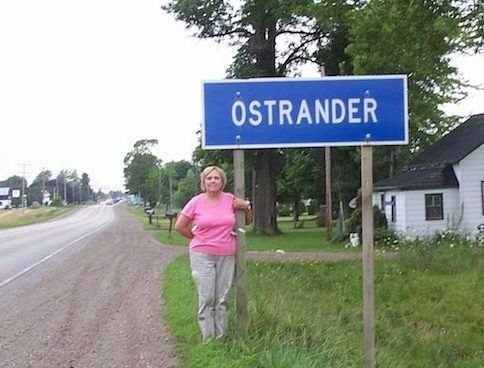 Because our research to-date has traced the Ostrander name and variations back to Pieter Pietersen Ostrander and his descendants, we conclude that the Ostrander name is unique and all Ostranders descended from Pieter² Pietersen Ostrander (Pieter¹Carestensen) and Rebecca Traphagen are related.